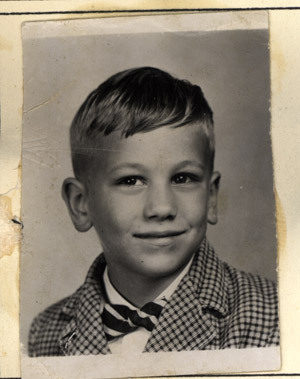 SCOTT SPENCER, my friend from kindergarten and first grade in Schenectady, NY. My teacher was Mrs. Ashdown. Milk was our lunch beverage and was contained in large-lipped glass bottles capped by a paper pull-off tab. Mrs. Ashdown told us to always carry the milk with both hands. I spaced out and forget to use both hands. I dropped the bottle and became totally embarrassed as it shattered over the concrete lunchroom floor. Many years later, in the late 70s, I was playing with Kathy Renda in a lounge group with Cheryl Rinovato, Rocky Graff and Dan Gleason. I contacted Mrs. Ashdown and told her I would never forget her and that I had become a musician. She, of course, had taught many children, was quite elderly and didn't remember me. The next day the band got fired and we had to sue the club and the agent. It took over one year, but Kathy Renda pursued the suit and we finally won. We each received about $160. When I went to Allegheny College, I met Cheryl Locke and after talking realized we were in the same kindergarten class. She knew Scott Spencer.